After the terrorist attack by Jaish-e-Muhammad in the Indian province of Jammu and Kashmir, tensions between Pakistan and India continue to increase. New Delhi is still trying to get Islamabad to take decisive action against a terrorist organization, which was responsible for the death of 45 Indian soldiers following in the convoy last weekend. Pakistan, in turn, is ready for dialogue and joint investigation of the incident, but the Indian side believes that the opponents "are misleading everyone." Islamabad knows perfectly well where the terrorists are hiding, and it should simply hand them over to the Indians. In this “prisoner dilemma,” when neither side believes a single word of another, the likelihood of a major military conflict is very high. Speaking on television today, Imran Khan warned Indian Prime Minister Narendra Modi. He urged Modi to "stop blaming Pakistan without a single proof" of supporting terrorists and share information about Pakistani involvement. And if India starts fighting on Pakistani territory, Islamabad will strike back. The unresolved issue of Muslim-inhabited Kashmir maintains a high level of danger at the start of the fourth Indo-Pakistani war. The first steps on this path have already been taken. India raised to 200% duty on Indian goods and deprived Pakistan of most favored-nation status, which is tantamount to breaking economic relations. Modi gave the military complete freedom of action in Pakistani territory, where Jaish-e-Muhammad is hiding. Both countries have withdrawn their diplomats - de facto, this is a break in diplomatic relations. Imran Khan would have been happy to hand over the militants, but the territories where they hide themselves are not controlled by the central government. In the Pakistani section of Kashmir, real power belongs to the tribes, not Islamabad. At the same time, it remains a fact that great efforts to prevent terrorist strikes against the historical enemy of Pakistan, which, in his opinion, annexed Jammu and Kashmir, are unlikely to make Imran Khan. Such attacks occur periodically. The last time Indian soldiers were victims of terror in 2016 was when 19 servicemen died. The risk of a military conflict between India and Pakistan lies above all in its magnitude. 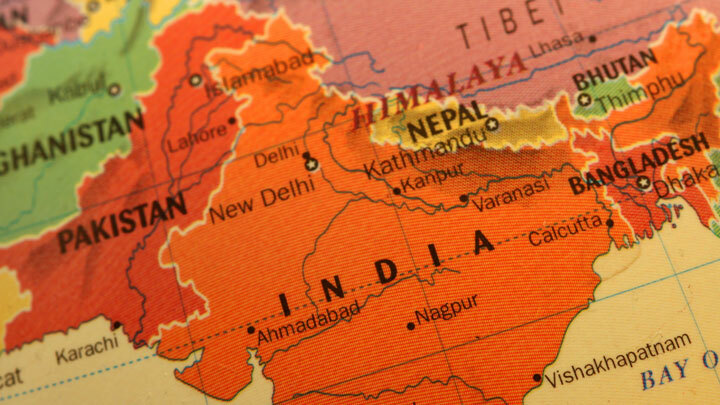 With 1.3 billion people, India is the second largest country in the world. Pakistan in this sense is a smaller player, but with its 197 million, for example, it is superior to Russia. This demographic inequality, and consequently, India’s personal superiority is counterbalanced by the presence of nuclear weapons in Pakistan. In hostilities, the victims will be in the millions. A few more millions will turn out to be refugees. Where will all these people go? On North. But not in overpopulated China, but in the empty areas of Siberia and the Far East. The flows of refugees from South Asia are ideally suited to the plans of those who would like to cause an economic collapse in Russia. Speaking about the conflict potential in the world and about a certain third world war, experts often point the finger at the Middle East. However, famous American geopolitics, such as Henry Kissinger and Zbigniew Brzezinski, have always noted that the threats from South and East Asia to the world order are several times higher than from the “World Balkans”. Unlike the Middle East, in Asia we are talking about countries with a mega population, numerous armies and, most importantly, nuclear weapons. In addition to the Indo-Pakistan border, there is still the danger of military clashes between Asian heavyweights - India and China. At the end of June 2017, the country almost unleashed a war over the disputed territories in the Himalayas. China is still claiming the Arunachal Pradesh region in northeastern India, where in 1962 the Chinese defeated the Indian army. At the same time, the Chinese seized Aksai-Chin in the north-west of India. It is curious that in the same year, when India and China last stood on the brink of war, they joined the Shanghai Cooperation Organization (SCO), on which Moscow has high hopes for ensuring security throughout the Eurasian space. If its constituent elements - Pakistan, India and China - will continue to sort things out, this could result in the collapse of the SCO. The latest terrorist attacks in Iran and India, organized from the territory of Pakistan, create new geopolitical realities in Eurasia. The two countries are becoming natural allies in the fight against Pakistan. The IRGC (Islamic Revolutionary Guard Corps) has already threatened Islamabad with a “high price” for the death of 27 soldiers killed at the hands of terrorists Jaish al-Adl based on the Iran-Pakistan border. The pressure of New Delhi and Tehran will force Islamabad to cooperate more actively with Beijing and Sunni countries that hate Iran. How will the USA and Russia behave in this situation? For Washington, Iran and Pakistan are adversaries, and therefore the White House will clearly not resist one enemy being weakened by the hands of another. In the Indo-Pakistani conflict, sympathy is clearly on the side of India, which came to the rescue of the United States in Afghanistan and participates in the TAPI gas pipeline project from Turkmenistan to India. In case China activates Pakistan’s support, the United States will be forced to strengthen India - to supply it with new batches of weapons, simultaneously squeezing out the active Russian military-industrial complex. As for Russia, it manages to maintain partnership with all these countries, just as it does in the Middle East. Iran is an ally in Syria, India is a traditional ally and a client of Rosoboronexport and Rosneft, China is the main trade partner, and with Pakistan recently we are trying to participate in solving the Afghan crisis by establishing a dialogue with the Taliban. This advantage, which the United States does not have, allows Moscow to become an arbiter in resolving conflicts in one of the most volatile regions of the world. Moscow has such an experience. Do not forget that the second Indo-Pakistani war was ended in 1966 with the mediation of the USSR.